2 Abt is normally displayed within the replica roundhouse at the TTM but is seen outside the roundhouse during shunting operations in this photo kindly provided by Stuart Dix. 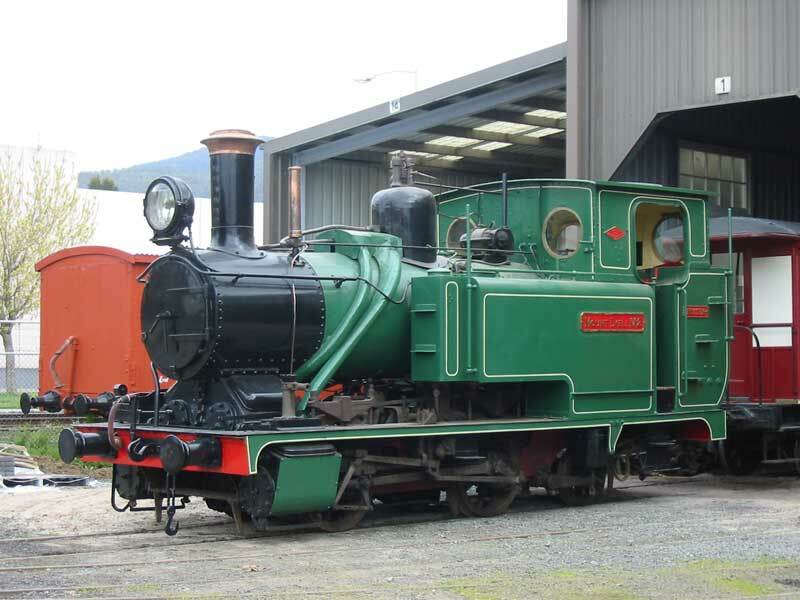 Lou Rae has written a number of excellent books on the railways of Tasmania's West Coast, including "The Abt Railway & Railways of the Lyell region" (c) which gives an excellent account of the building and operations of the Mt Lyell Mining & Railway Company, together with competing interests. b LDix, A., Beck, D., and Dix M. 'Locomotives of the Tasmanian Transport Museum Glenorchy Tasmania', published by the Tasmanian Transport Museum Society, October 1991.
c L. Rae, 'The Abt Railway & Railways of the Lyell region', published by Lou Rae, PO Box 508, Sandy Bay, Tasmania, 7006.
d Personal comment or observation.